1 Bedroom Flat For Sale in Gillingham for Offers Over £170,000. 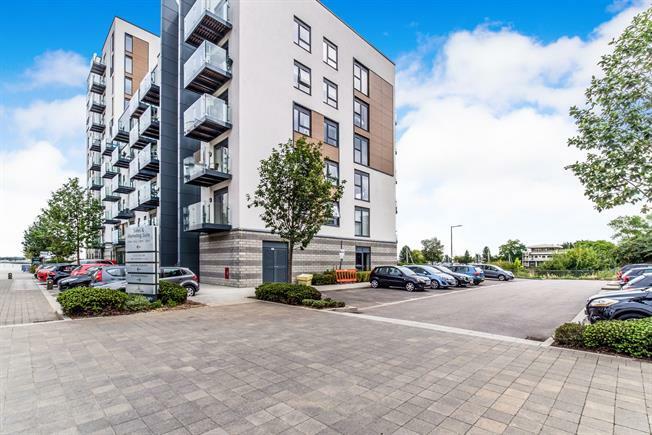 MANN are pleased to offer for sale this stunning one bedroom apartment in Marina Heights. Accommodation comprises, entrance hall, open plan kitchen & living area with a door out to the balcony. A separate bedroom with fitted wardrobes and a bathroom. Viewing is highly recommended to avoid possible disappointment. Front . Electric heater, vinyl flooring, built-in storage cupboard, painted plaster ceiling, ceiling light. UPVC sliding double glazed door, opening onto a balcony. Electric heater, vinyl flooring, painted plaster ceiling, ceiling light. Corian style work surface, fitted and wall and base units, inset sink, electric oven, electric hob, over hob extractor, integrated dishwasher. Heated towel rail, tiled flooring, part tiled walls, painted plaster ceiling, recessed lighting. Low level WC, panelled bath, shower over bath, inset sink, extractor fan. Double glazed uPVC window. Electric heater, carpeted flooring, sliding door wardrobe, painted plaster ceiling, ceiling light.